Okay, I admit that I don’t enjoy most of the music I listen to. Not that I couldn’t. I can manipulate my pleasures quicker than Pavlov’s pooch. Get buoyant with Eli & the 13th Confession, or weird with Mal Waldron & Steve Lacy, or transcendent with Astral Weeks, or profoundly introspective with Bill Evans’ Village Vanguard, or clinically depressed with James Taylor’s first. Just flip ’em on the turntable, I’m there. My problem is that I spend so much of my time, often most of my time, listening to music I don’t know or don’t like. Have you ever noticed that people like The Familiar in music? Given the choice, they’ll always listen to something they know well. As opposed to film (“Oh, I saw that”) or TV (“Reruns, all they have is reruns”) or books (“No thanks, I think I read that already, I’m not sure.”) I haven’t quite figured out how normal people become exposed to new music, if they only listen to music they already know. If anyone out there knows the answer to that one, please let me know me. Well, last week, I was driving home from an out-of-town recording session. It went well, and my adrenalin was pumping, and I was feeling pretty damn chipper. I had a pile of CDs with me for the car, and I chose the funnest one of the bunch—”Smokey Robinson & The Miracles 16 All-Time Hits”. You know, the compilation on the Starlife/Cuchesse label from Luxembourg, $1.99 in your local supermarket? And I was having so much fun that I skipped through ‘You Really Got a Hold on Me‘ (1962, covered by the Liverpool garage band The Beatles a year later), Mickey’s Monkey (1963), even the sublime Ooh Baby Baby (1965, which has actually had two! SoTWs of its own: the original version by Smokey and the Miracles, and a goosebumping spontaneous one by Smokey and Aretha), Going to a Go-Go (1965), Tears of a Clown (1970). The one I settled on was ‘The Tracks of My Tears’, 1965, which certainly needs no introduction, explanation or comment by me. Just listen to it like a 17-year old burger-flipping cretin out on the town Saturday night, overdosing on hormones, bopping down the boulevard, bouncing in the driver’s seat, pounding the steering wheel in time, shouting out “Take a goo-ood look at my face!” Just like I did last Wednesday night. 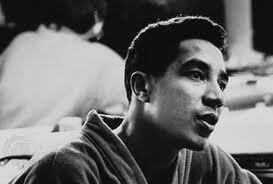 Back in 1966, I had the good fortune to see Smokey Robinson and the Miracles in concert. 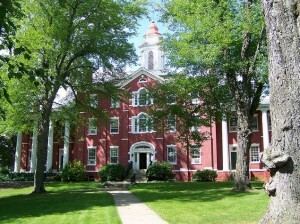 It was at Edinboro State Teachers College in Edinboro, Pennsylvania, about 30 miles south of Erie and 30 miles north of Meadville, where I was wasting a year atAllegheny College. I’m not too sure today what I was doing there in the mountains of northwestern Pennsylvania, but even less sure what those hundreds of budding white-bread teachers were doing at a Miracles gig. Methinks they weren’t too deeply into the Motown idiom. It’s a pretty insular area, way up in the mountains, off the beaten track. 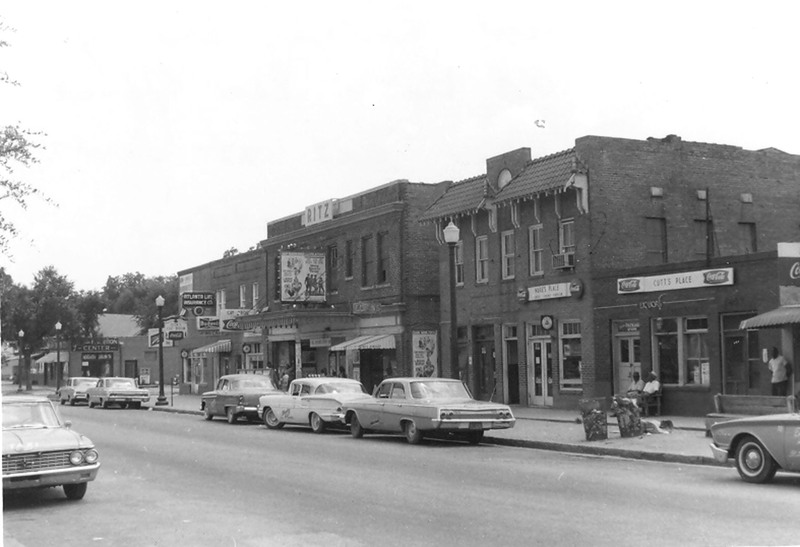 Town elders in Meadville liked to brag that they avoided the Great Depression—they had a zipper factory, and people always need zippers, so they just locked the city gates, didn’t let any newspapers in and continued manufacturing their zippers. Anyway, these Edinboro State Teachers College students, being devout members of the Caucasian persuasion, were pretty quiet and subdued (I hadn’t seen any of them down at Jimmy’s, so I guess the music wasn’t too familiar to them). Even I, who did know the canon by heart, was restraining myself, clapping politely at the end of each of the Greatest Hits. But when Marv Tarplin broke into that divine guitar riff that opens ‘The Tracks of My Tears’, I let out with a spontaneous roar of “Yeah! !”, and Smokey waved at me and smiled in appreciation. I venture to guess that neither Smokey nor I ever returned to Edinboro. Smokey was born in 1940. 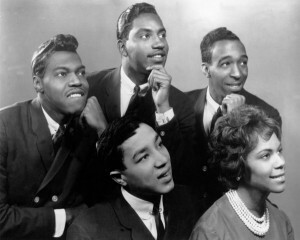 His 1960 single ‘Shop Around‘ was the first major chart success for The Miracles. The song was also Motown’s first million selling hit single. Smokey was a central figure at Berry Gordy’s Motown—leader of The Miracles in the 1960s, a soloist ever since, creating 37 Top 40 hits; writer and producer of countless Motown classics, including ‘Since I Lost My Baby’, ‘My Girl’ and ‘My Guy’; and a longtime vice-president of the organization. Bob Dylan famously called him ‘America’s greatest living poet’. He married the Miracle chick singer Claudette Rogers, with whom he had a son (Berry) and daughter (Tamla). 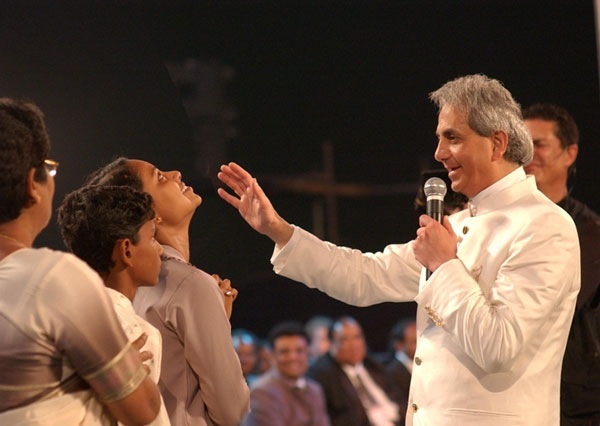 In the 1980s he succumbed to a cocaine addiction, but was dramatically cured at a religious service. In 2007 he starred at the 49th annual Grammy Awards tribute to R&B music, where he sang our SoTW. The song was inducted into the Grammy Hall of Fame in 2007 and placed at #50 in Rolling Stone magazine’s list of The 500 Greatest Songs of All Time. The musical backing of the track was done by The Funk Brothers. Never heard of them, right? 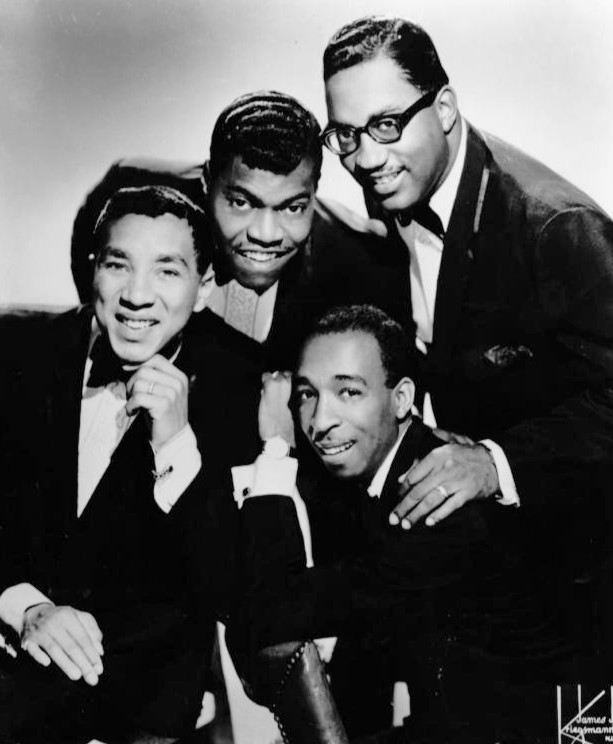 They were the Motown house band, and “played on more number one hits than the Beach Boys, the Rolling Stones, Elvis, and the Beatles combined…” (that’s from the fine documentary film “Standing in the Shadows of Motown“). You can hear what the song sounds like without The Funk Brothers, in this a cappella version. I’m not going to analyze or dissect the song itself. There’s nothing I could say about it that would enhance the enjoyment of it, mine or yours. I’ll just ask one question—how is it that a song so patently sad can make you feel so happy? So just stick it in your car’s CD player, go out into the country, step on the gas, crank up the volume to a teenage level, and get joyful. I learned something new this week. Or more precisely, I had a long-held misunderstanding corrected. C’mon, Jeff, just say it—you were wrong, you just found out. 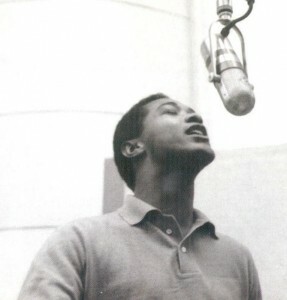 I always believed that Sam Cooke’s ‘Bring It On Home To Me’ was a derivative cover of Smokey Robinson’s ‘You’ve Really Got a Hold On Me’. And I’m here today to make a public confession that I was wrong, that Sam Cooke’s version came first, and thus to try to right that heinous injustice. ‘BIOHTM’ was released on May 8, 1962 as the B-side of ‘Having a Party’ on the RCA label. ‘YRGAHOM’ was released on November 9, 1962 on the Tamla label, a subsidiary of Motown. So there. I’m sorry, Sam. But I guess I don’t really need to worry about it too much, since the half century since Cooke’s death at 33 in 1964 (shot by a lady motel manager whose room he had broken into and was allegedly trying to assault) has been very kind to his reputation. He commands the greatest respect imaginable, especially as a vocal stylist. Van Morrison readily admits that his whole approach to singing is modeled after Cooke. Rod Stewart often sounds like a bleached version of Cooke. You can’t imagine Otis Redding or Marvin Gaye without Cooke’s precedent. And that’s only the start of a very long list. But that’s not his only achievement. He’s considered one of the finest gospel singers of the 1950s. In 1958 he crossed the line from the sacred world of hoot-and-shout gospel to the profane world of string-backed, hormone-soaked teenage carnal love with one of the biggest hits of the decade, ‘You Send Me’. Over the next few years until his death he had a string of memorable pop hits (‘Cupid‘, ‘Wonderful World’ later covered by James Taylor/Paul Simon/Art Garfunkel, among many others) as well as hits that in retrospect were trailblazing steps into what would become soul music (‘Shake‘, ‘Ain’t That Good News’, and the immortal ‘A Change Is Gonna Come’). He was a political rebel, promoting black consciousness and pride, founding his own record company to fight the repressive, commercialized (white) music distribution business. 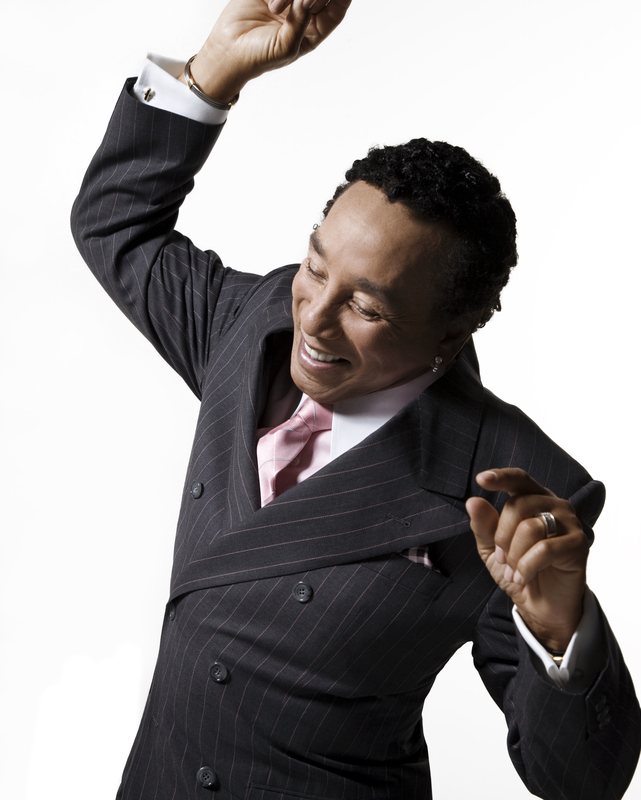 In a previous SoTW, I expressed some of my admiration for Smokey Robinson’s stunning ‘The Tracks of My Tears’. And I’m glossing right over Sam Cooke’s ‘A Change Is Gonna Come’ here, because it is too divine to be discussed other than on its own. This week we’re going to confine ourselves to these two companion pieces, ‘BIOHTM’ and ‘YRGAHOM’. They’re both written by the very first black singer-songwriter auteurs in the pop idiom. They both reach back into the artist’s gospel roots, using the black Baptist church’s call-and-response format in a secular R&B song. And then looking around to write this, I discovered another very striking similarity–both were clearly toned down, sweetened up and bowdlerized for the Top 40 (white teenage) market, but both have a well-known raw, soulful version that puts the more popular version in a much clearer light. Here’s Smokey Robinson & The Miracles hit record of ‘You’ve Really Got a Hold On Me’. And here’s a live version of the song, typical slick Motown, very much reflecting the spirit of the recorded version. It’s from the (Wonder Bread-white) TV show Shindig; Smokey and the guys are wearing tuxedos, and the dancing is typical 1964-vintage Motown. And here’s a pretty remarkable clip from 1963 in front of a black audience, from the “Motortown” revue at the Apollo Theater, with the legendary James Jamerson on bass, Smokey’s wife Claudette as a member of the original group. 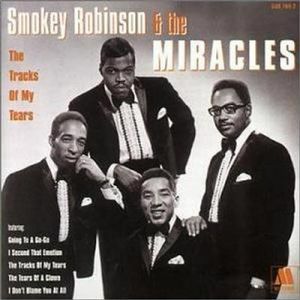 Apparently Motown didn’t have choreographers yet to polish the dancing, and Smokey’s tie is undone. His performance here is more James Brown than David Ruffin. And here’s our SoTW, Sam Cooke’s inadvertently maligned ‘Bring It On Home To Me’. Here’s the hit record version of the song. The second voice here is the uncredited, then-unknown Lou Rawls! Ernie Freeman plays piano. And here it is live in front of a black audience at the Harlem Square Club in Miami, 1963. I’ve heard this song many times, by many artists. But I certainly never experienced it as I did when I heard this very, very raw and real version. Among the countless artists who have covered the song are Wilson Pickett, Otis Redding, Sonny Terry and Brownie McGhee, Paul McCartney (twice), John Lennon, Van Morrison, Rod Stewart, and Aretha Franklin. 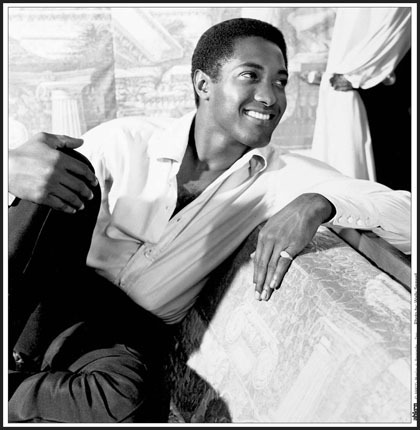 So I’m not sure that Sam Cooke really needs rehabilitation from me. Still, it’s my privilege and pleasure to join the choir. So I guess I learned two things this week. First of all, that Sam Cooke takes a back seat to no one, not even to Smokey Robinson. Secondly, and much more important as a practical lesson for the future–the sweetest fruits are often those closest to the roots. But since I ain’t on no desert island, and I have world enough and time to indulge myself in gooey nostalgia, I’d like to talk about one of the most evocative pieces of music in my emotional archive, a song that retrieves for me a time and place in my past better than any ol’ hypnosis or truth serum or Kodachrome snapshot. It’s The Motown Magic. Hey, it’s the mojo. The year is 1966, and I’m in my freshman year at Allegheny College in Meadville, Pennsylvania. Seriously. 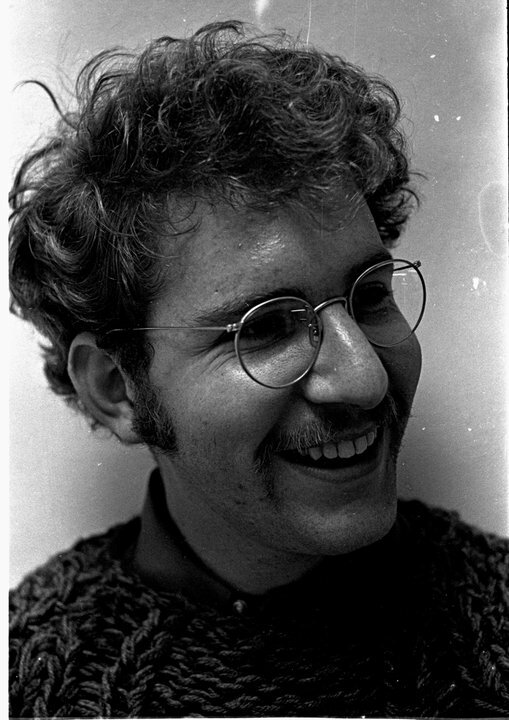 Now you might wonder what a fidgety Jewish boy from Cincinnati was doing in a unflinchingly white bred Republican Methodist college of 1400 tucked away in the foothills of the Allegheny range, nary a Semite in sight. Good question. I guess, in retrospect, I was trying to become something I wasn’t – someone who could swim in the middle of the stream. Even in high school, I was marginal. Not a bad kid, but certainly not Model Student of the Year. I was Maynard, not Dobie. I hung with the off-base crowd, the singers and the actors and the writers and the out-on-the-back-stoop smokers. The ones who not only listened to The Beatles, but even The Rolling Stones! The ones who had been seen (outside school, of course) wearing blue jeans. The rebels sans cause. The ones pointedly disliked by Miss Davis. And Mr Aug. And Mrs Whittaker. And Mr Duffy. And Charlie (“I’d rather have ten gonorrheas than one syphilis”) Smith, the assistant football coach and teacher of Senior Health. The list goes on, but I’ll spare you. Thankfully time came to choose a college. Surprise, surprise, my grades were underwhelming, but my board scores were surprisingly good. (I won’t even mention the math teacher who was convinced that I’d cheated or there was a clerical error, because there was no way in the world that jerk could have gotten a score like that.) 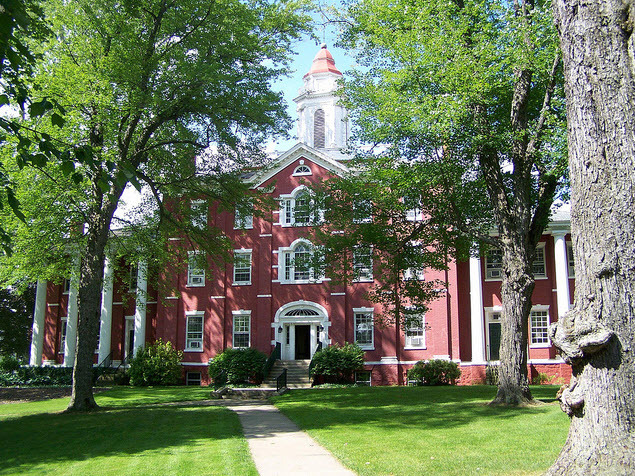 I almost went to Antioch College, but I drove up there one snowy day and saw a guy wearing a sport jacket with nothing underneath it. That was a bit too much (too little, actually) for me, so I decided to go the straight and narrow. Why not choose the path of least resistance?, I asked myself. Become a middle-class WASP. Enjoy the same television shows and books and movies and music that everyone else does. Go to a good school, get a good job, lead a good life. Okay!! There are girls’ dorms and boys’ dorms. Girls don’t go in boys’ dorms, boys’ don’t go in girls’ dorms. The two best fraternities don’t accept Hebrews. Dress dinners every weekday evening and Sunday lunch, at which the boys wear a jacket and tie and the girls a skirt and heels. Sit alternate boy/girl, and the boy slides in the girl’s chair for her. Coeds are allowed to sit on the sumptuous lawns, but are required to maintain an angle of at least 45° relative to the ground. In other words, no reclining. Because we all know what happens when coeds recline. But I needed to hang around to finish the school year. I began to grow a scraggle of a beard and roam the streets of Meadville (of which there weren’t too many). I soon found myself on the wrong side of the tracks, habituating Smokey Joe’s Cafe, a modest emporium patronized by Meadvillians of the Afro-American persuasion. It had two very memorable fixtures. First, a “Don’t Ask, Don’t Tell” carding policy. 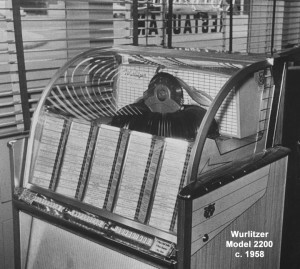 Second was a juke box with a rich stock of R&B music. I spent a lot of time there, getting acquainted with the local brews and the husky, misty music, both of which were somewhat of a revelation for Barefoot Boy with Cheek. I don’t remember the names of any of the beers (I guess we don’t need Mr Cabot-Lodge to figure out why). 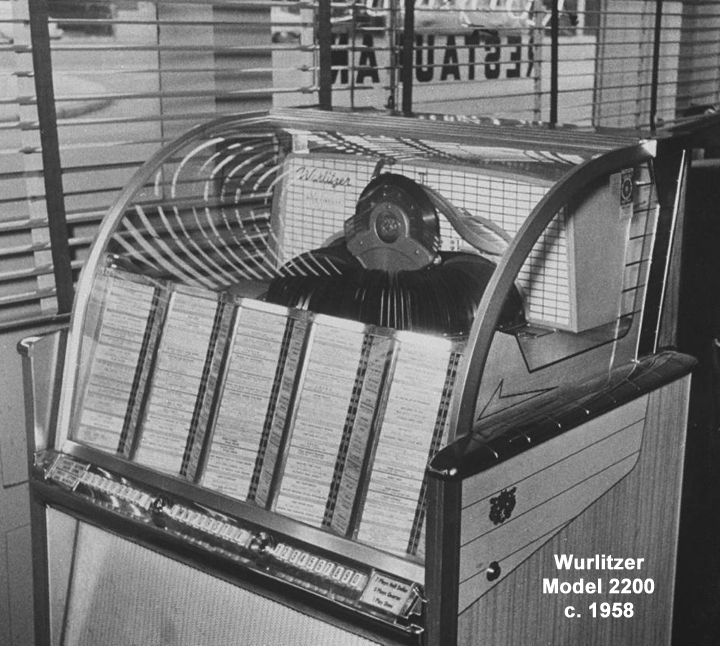 But I sure do remember The Song that I learned at the knee of Jimmy’s Jukebox, wishing with all my heart and with all Smokey’s soul that I had a girl to love as much as he loved the girl he had wronged so painfully. But I didn’t, so I spent those days not going to class, nursing my beer, and wondering what was going to become of my life. I’m not even going to ruin The Song by dissecting it historically or discographically or flight-of-the-fancily. I don’t want to interfere with your memory or with mine. You can read all about its soul brother companion piece, the magnificent ‘The Tracks of My Tears’, which I discussed in SoTW 028. Both are from the album “Going to a Go-Go”, together with the fine title song. But nothing compares to ‘Ooh Baby, Baby’. For me it conjures that particular bar & grill at that particular crossroads. 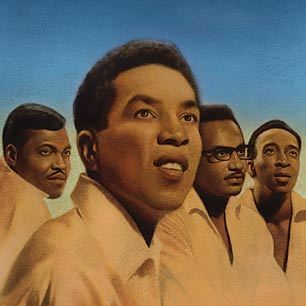 But I imagine there ain’t a person of my generation for whom any song can rival the unadulterated, luscious gush of emotion that is Smokey Robinson and the Miracles’ ‘Ooh Baby, Baby’.